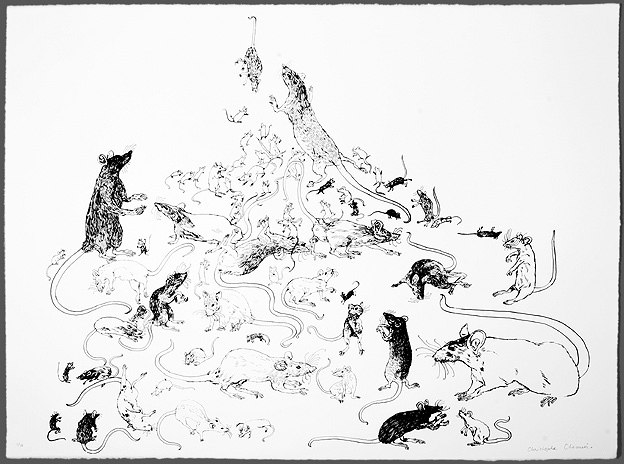 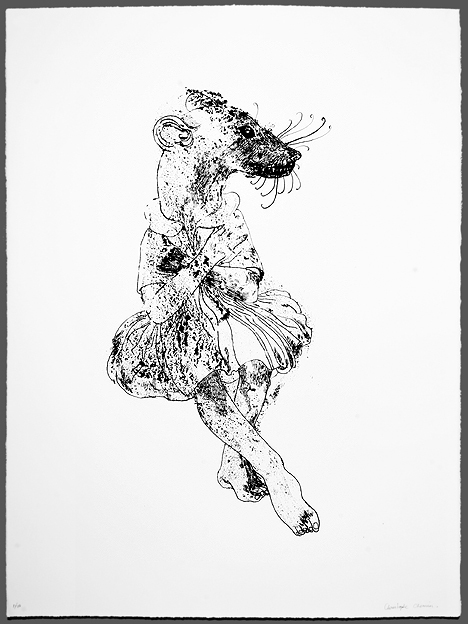 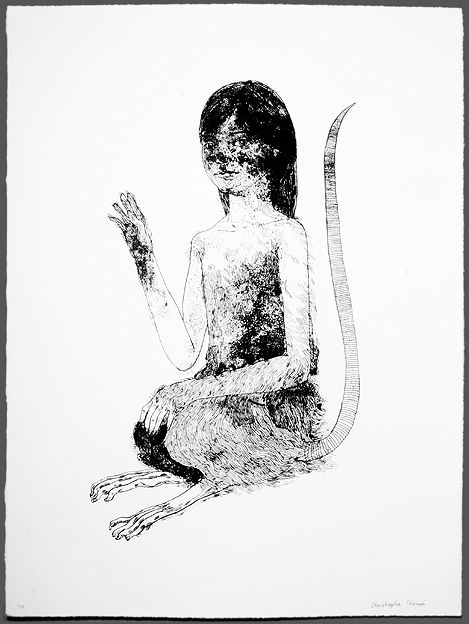 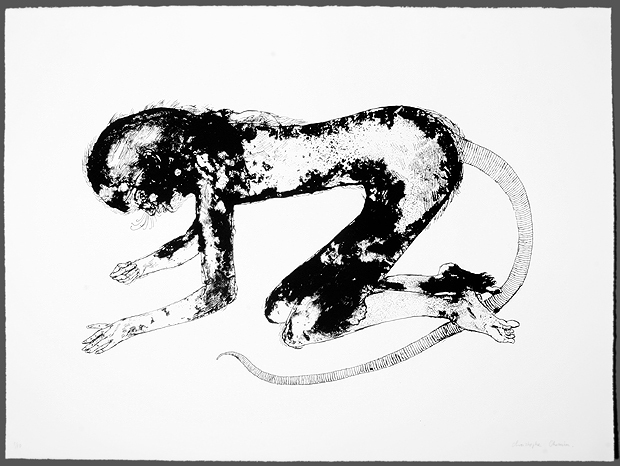 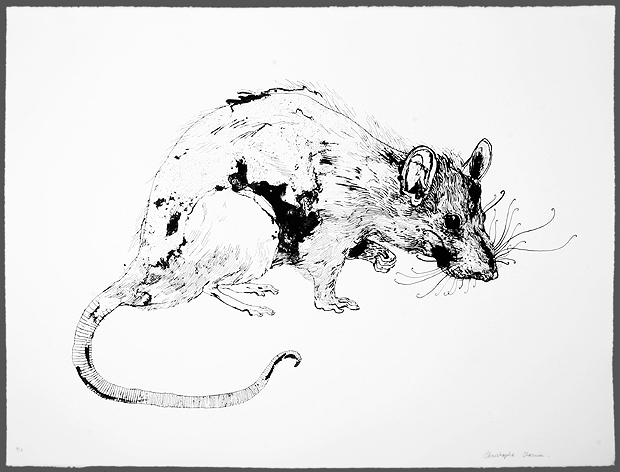 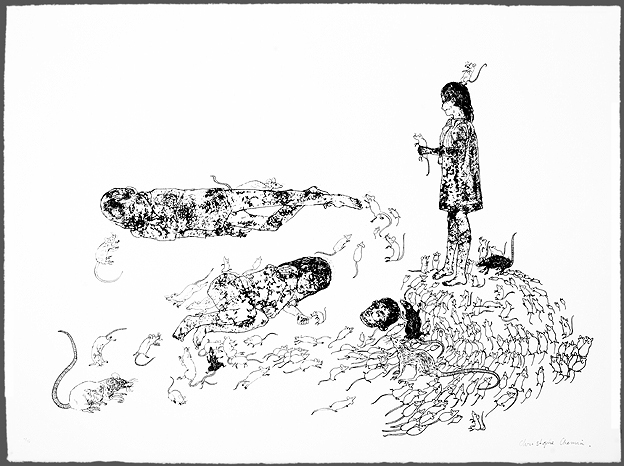 Rats & Children is an edition of screenprints handpainted by Chemin directly onto transparencies from which the screens were then made, this means these images exist as screenprints only as there is no original drawing as such. 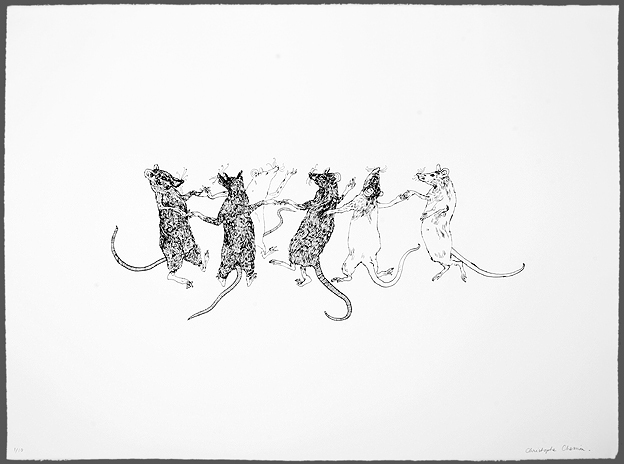 They were produced entirely in the Rise studio in an edition of only 10 plus one artist copy and one printer copy.They are printed on Somerset Satin paper measuring 56 x 76 cm. 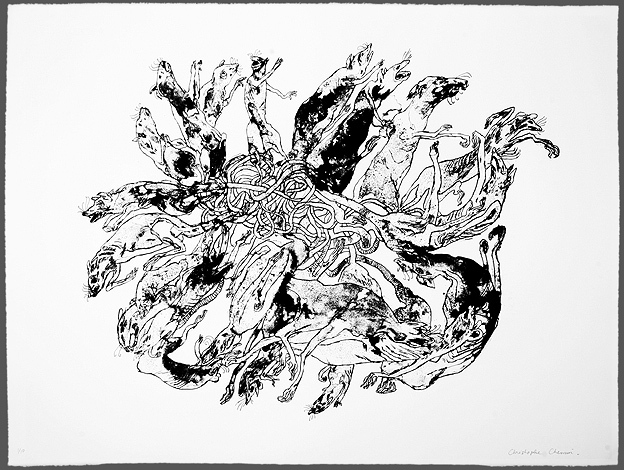 The 9 different prints #1 – #9 are also available together as a group for 2000 Euro, please ask for details. 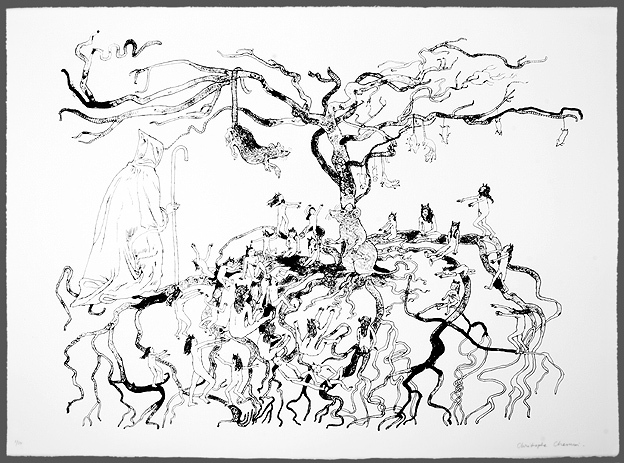 Christophe Chemin is a writer, movie director, actor, photographer and painter.